This year when Simmental breeders will parade cattle across the iconic green chips of Louisville’s Freedom Hall at the 2014 North American International Livestock Expo one habitual exhibitor will not be entering the show ring with a Purebred Simmental bull on the end of the halter. 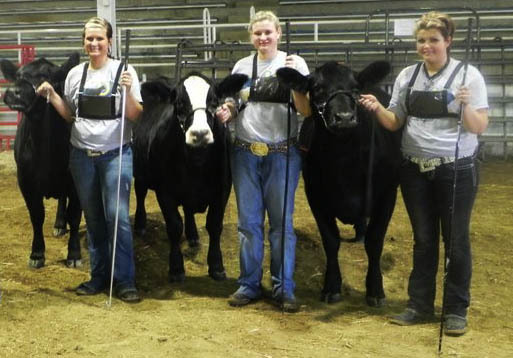 Instead this year, Barry Wesner will be on the microphone evaluating cattle exhibited by his friends, customers, mentors, and fellow Simmental enthusiasts. 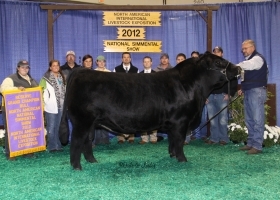 Wesner with WLE Uno Mas X549 at the 2012 NAILE. Although Wesner is a familiar face in show rings across the nation, be it the Hoosier Beef Congress or the Simmental Breeders Sweepstakes what many don’t know is the story that led to Barry’s being at those shows. 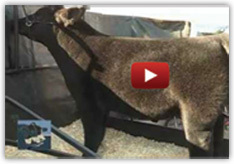 Barry’s proudest moments in the cattle industry haven’t happened in the show ring. Just three hours north of Louisville is the little town of Chalmers, Indiana. It’s home to a popcorn plant, corn fields upon corn fields, hundreds of wind mills, and Wesner Livestock Enterprises (WLE), where the Wesner family cows graze behind heavy, handmade metal gates on a pasture surrounded by corn and soybeans. 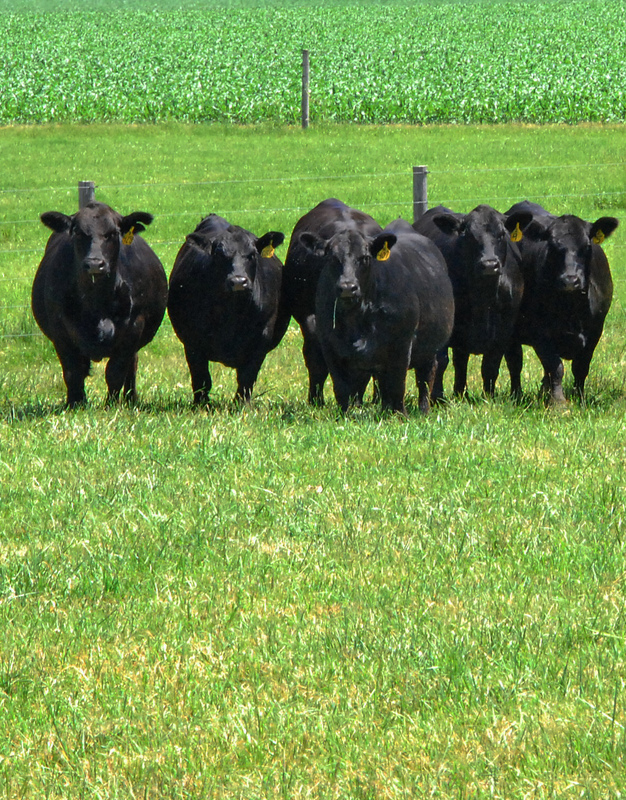 Simmental and SimAngus replacement heifers on grass at WLE. The foundation of Wesner Livestock Enterprises didn’t just happen overnight “I couldn’t have started building this if my dad and grandfather hadn’t been here. My dad was always here, doing chores, driving the school bus, taking care of things. My grandfather — we called him Pop — was a working machine. My dad always jokes that I couldn’t be related — they must have mixed me up at the hospital. Pop he never quit, he was a hard driver, but a fun guy,” said Barry, “Nearly everything around here he welded. He did things the hardest way you could.” Barry’s father, Jim, retired in 1995. He and his wife Alfreda still live on the family farm. Barry’s daughters, Carly, Courtney, and Bailey at the 2011 AJSA Eastern Regional. Wesner at the 1997 NAILE. 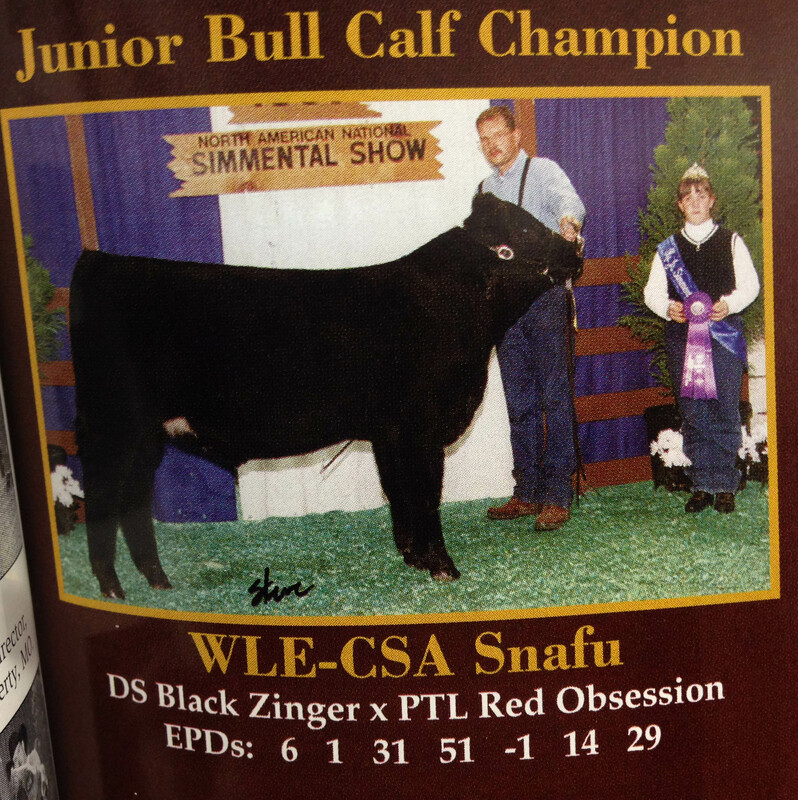 Since 1983, when Wesner joined the American Simmental Association the WLE brand has become increasingly familiar to Simmental breeders. “I couldn’t be more proud of the number of bulls we’ve put in bull studs and bulls that have stood the test of time. When you sort back through a catalog and our WLE prefix is strewn through a lot of those cattle, it feels like a success to me. Those cattle have worked. I’m more proud of that than I could ever be of winning any specific show,” Barry said. 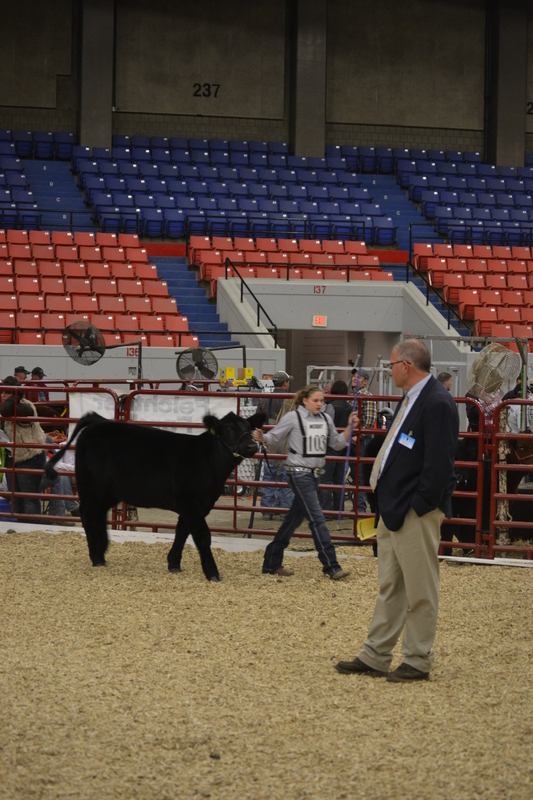 Wesner evaluating the 2011 NAILE Junior Percentage Simmental show. Each of Barry’s daughters went on to judge collegiately as well. At the 2014 NAILE, Carly will serve as Barry’s associate judge.